You will need to be mentally as well as physically strong to be a successful entrepreneur. These qualities and attributes are mandatory and even much more necessary than the fund required to run your business. Ideally, most entrepreneurs believe having enough money in hand, if not lots is the only requirement to be successful. Well, as far as financing your business is concerned, you may even find several other useful resources for it if you do not have enough personal savings but you will not get the mental strength required to succeed from any lender, private or otherwise. Therefore, you will have to be decisive and believe that you too can do as well as those innumerable successful entrepreneurs out there. Since business is a journey to the uncertainty, you will have to choose the right time to start your business. Therefore, to begin with, make sure that you launch your business at the nick of time to be able to take it to the pinnacle of success. The lure to launch your own business may be very enticing where you will be your own boss, take control of all income and expenditure, work according to your convenient hours and much more. However, a business also has it less glamorous side as well and there is always the psychological price that you will have to pay for constantly as an entrepreneur. 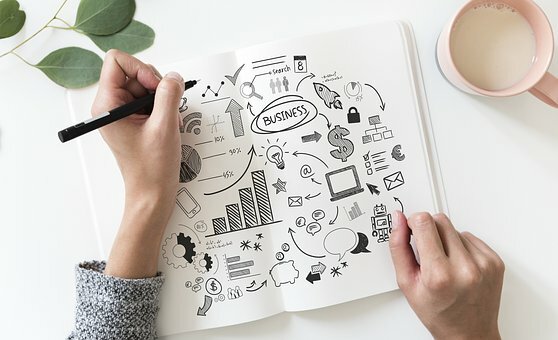 According to the reports of Small Business Administration, there are about 30.2 million small businesses operating in the US now but there are a lot of businesses that did not even see the second year after their launch. The simple reason is that they did not start their business at the ‘best’ time of the year. Spring: These are those months that are the busiest for processing incorporation paperwork at Secretary of State Offices and therefore may take a long enough time to get it completed. However, seasonal business or not, businesses that are launched during springtime usually grow as a startup and flourish. Summer: Ideally for many, summer season is the time to take a break and relax. On the other hand, for the entrepreneurs, this time brings a motivational burst. Inspirations start to pour in and ooze out to start a seasonal business irrespective of the age. Moreover, the timeframe is fairly flexible as well because most seasonal businesses remain operational throughout the summer and reopen again the following year. Autumn: According to studies, most entrepreneurs are more productive during the fall months. New intriguing research compiled data over four years in 2018 and it revealed such surprising results. Any average worker is found to be 20% more productive in autumn, 11% more productive in spring and 7% more productive in summer than in winter. The study also revealed that the most productive months are September, October, and November. In addition to that, the changing season by itself acts as a big motivator for an entrepreneur. Winter: This is the time for resolutions to make and most entrepreneurs do add “start a business” to their list of resolutions for the following year. More often than not, they stick to it and get their business up and running. Therefore, all seasons have its pros and cons to be considered as the best time of the year to start a business and therefore the best time to file a business by an entrepreneur is close to the end of the year. This will mean delayed filing which will allow you to file the paperwork now, set an “effective on” date about a month later to prepare for the launch after you get an approval. Filing any other necessary registration paperwork. Social isolation – Many entrepreneurs face social isolation even though they work with other people on a daily basis but these people are usually vendors, customers, or employees. It is difficult for them to establish a work-life balance. Depression: As an entrepreneur, you will also face a lack of leisure time. This will mean inadequate self-care. This will lead to depression, stress, and anxiety. If your business is not doing well then this will be even more serious and may even lead to failure and affect your general wellbeing. Addiction: This is another common problem among entrepreneurs as revealed by the 2014 study reports of the “Journal of Business Venturing.” It says that most serial entrepreneurs are strongly addicted to the rush to start a new company and several of them suffer serious consequences such as financial trouble, relationship problems, and health issues. If you are strong mentally, you can devote all your energy to your business to ensure that you as well as your business reach to respective potential. Delaying gratification and facing your fears. You must never back out from asking for help from people you adore and know if you cannot take any decisions. Most importantly, you should always bounce back instead of sulking due to failure and mistakes.